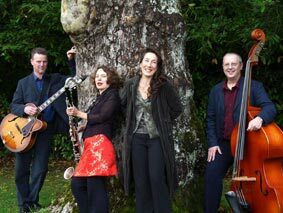 Unwind at the end of the first Dorset Art Weeks weekend in lovely surroundings of the Courtyard Gallery and Workshop, Hosted by Simon Pirie, Liz Tyler and Peter Ursem who will be exhibiting their work at the venue, there will be music from Jazz quartet ‘Misbehavin’ throughout the evening. 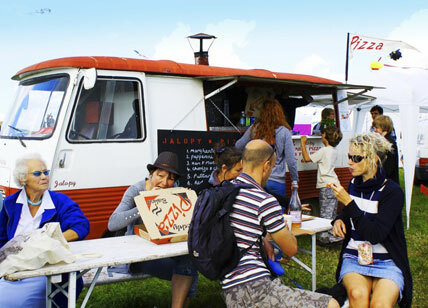 There will be plenty of food and drink on offer, including Bridport’s ‘Jalopy Pizza Van’. Things kick off at 5pm and run till 8ish when either the band flake out, the Pizza runs out or the pay bar runs dry. Of course we do hope to tempt you into the gallery space to have a look at some of the beautiful furniture, jewellery, painting and prints on display. To lure you in there will be a free glass of Furleigh Estate wine grown here in Salway Ash, Dorset. ‘Jazz In the Courtyard’ is at DAW venue 36, the Courtyard Gallery and Workshop, Rogers Hill Farm, Briantspuddle, (near Bere Regis) DT2 7HJ. Follow the Red and Yellow DAW signs as you get close. Date: Sunday 27th May from 5pm till 8pm, admission free. The exhibition runs throughout Dorset Art Weeks from Saturday 26th May until Sunday 10th June and is open every day from 10am until 5pm.